Where to travel in Germany, what cities to visit and what to see and do while in Germany, especially in southern Germany. You’ll also find info about Christmas markets in Germany and castles to visit. 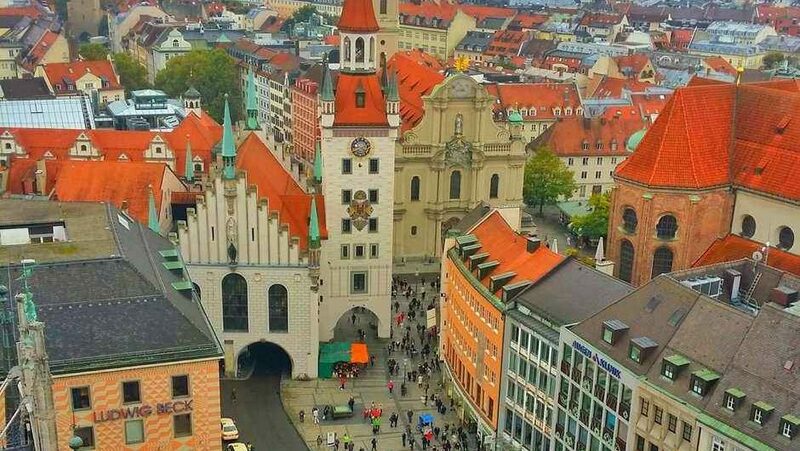 Your travel guide to Munich, Germany. Find out what to see and do, what to eat and where to stay on your visit from an expat who's lived there for 7 years. Your travel guide to Munich, Germany. Find out what to see and do, what to eat and where to stay on your visit from an expat who’s lived there for 7 years. There are a whopping 24 Christmas Markets in Munich, Germany! Here are my top 5 that I recommend visiting to celebrate the holiday season. Follow in the royal footsteps of King Ludwig II on the Königsweg, (King's Way) as you hike to his mountain retreat, the Schachen House in the German Alps. Follow in the royal footsteps of King Ludwig II on the Königsweg, (King’s Way) as you hike to his mountain retreat, the Schachen House in the German Alps. You deserve a break. Check out these 14 wellness hotels in Germany that offer something for everyone. You'll also find 7 tips on how to make the most of your wellness weekend on any budget. You deserve a break. Check out these 14 wellness hotels in Germany that offer something for everyone. You’ll also find 7 tips on how to make the most of your wellness weekend on any budget. If you or someone you care about loves Germany, check out these wonderful gifts to bring a little Deutschland into your life, no matter where you are in the world. 5 ways that North Americans can immigrate to Germany from a Canadian who's lived in Germany for over 6 years. Includes how-to tips and personal experience to help you navigate the immigration process. 5 ways that North Americans can immigrate to Germany from a Canadian who’s lived in Germany for over 6 years. Includes how-to tips and personal experience to help you navigate the immigration process. 5 reasons to visit the world's largest pumpkin festival in Ludwigsburg,Baden-Württemberg, Germany. Come see for yourself what 450,000 pumpkins looks like! 5 reasons to visit the world’s largest pumpkin festival in Ludwigsburg,Baden-Württemberg, Germany. Come see for yourself what 450,000 pumpkins looks like! Your practical guide of everything you need to know for celebrating Oktoberfest in Munich for 2018. The Danube Cycle Path is the most popular holiday cycling route in Europe! It attracts families, seniors, recreational cyclists and serious cyclists alike! Everything you need to know about celebrating a German Christmas in Munich, including what to do and see when many shops and restaurants are closed. The Munich Christmas Market is not only the oldest and largest in the city, but in all of Europe! It's also one of the prettiest Christmas markets with the town hall at Marienplatz making for an impressive backdrop! The Munich Christmas Market is not only the oldest and largest in the city, but in all of Europe! It’s also one of the prettiest Christmas markets with the town hall at Marienplatz making for an impressive backdrop! An Oktoberfest infographic showing you how much beer really gets drank and how much a beer will cost you! Neuschwanstein Castle is Germany's most famous castle, known to many as the Cinderella Castle. Follow these tips for a fairytale-like visit! Neuschwanstein Castle is Germany’s most famous castle, known to many as the Cinderella Castle. Follow these tips for a fairytale-like visit! Don't think you can enjoy the naked German sauna experience because you're too shy? Check out these six practical tips before going to the sauna. Don’t think you can enjoy the naked German sauna experience because you’re too shy? Check out these six practical tips before going to the sauna.